How to Create a New Slider Novice Novice tutorials require no prior knowledge of any specific web programming language. Go to Appearance > Sliders. Here you'll find a list with all the already created sliders. Click the Add New button from the top. Note that different sliders come with different population methods and options. Switch between the slider types to check out the possibilities. Most of the options can be edited after the creation of the slider. When you are done click the Create button from the sidebar. Note that the slider type and population method can't be changed once the slider is created. 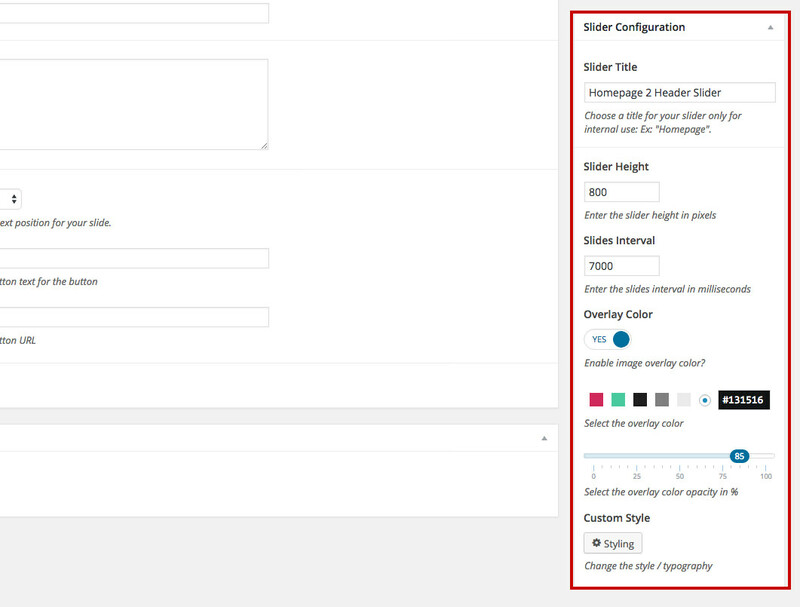 You'll need to create a new slider if you want a different design style or population method. 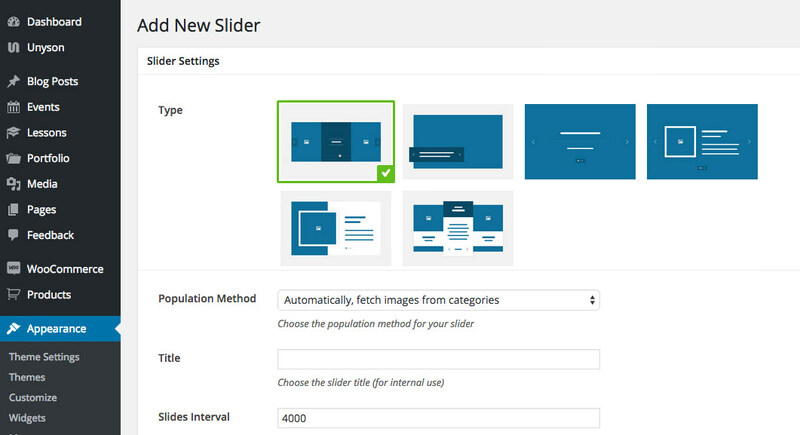 Now it's only a matter of adding new slides in your slider by pressing the Add New slide block. 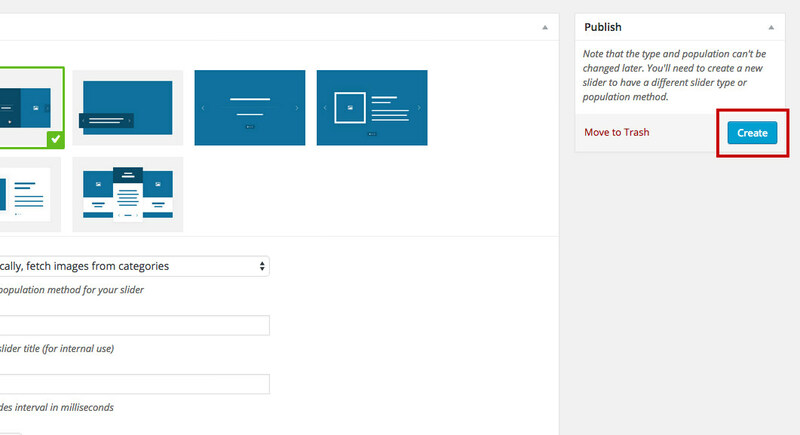 Don't forget to hit the Save button in the sidebar after you are done adding the slides. 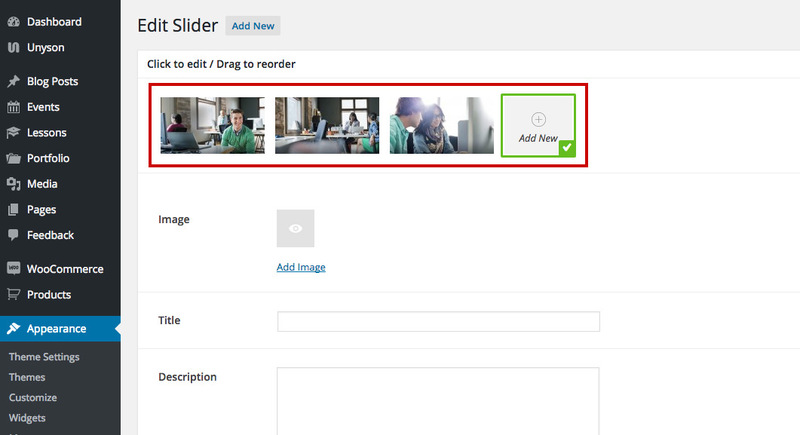 All the sliders come with a Configuration Panel in the sidebar. Here you'll find all the options you need for your slider. 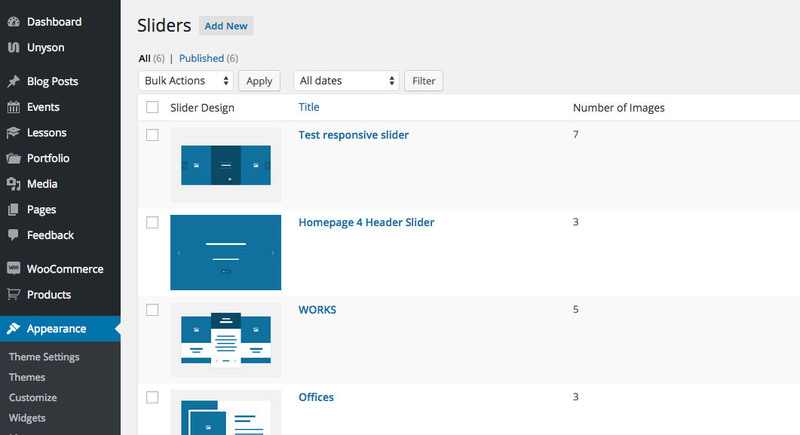 Slider Title - for internal use only, this title will not be displayed on the website. Slider Height - lets you set the height of the slider in pixels. Slides Interval - use this option to set the slide interval in milliseconds. Overlay Color - lets you enable the overlay color for your slides. You can set a color and opacity. This overlay color will be applied for all the slides that compose the slider. 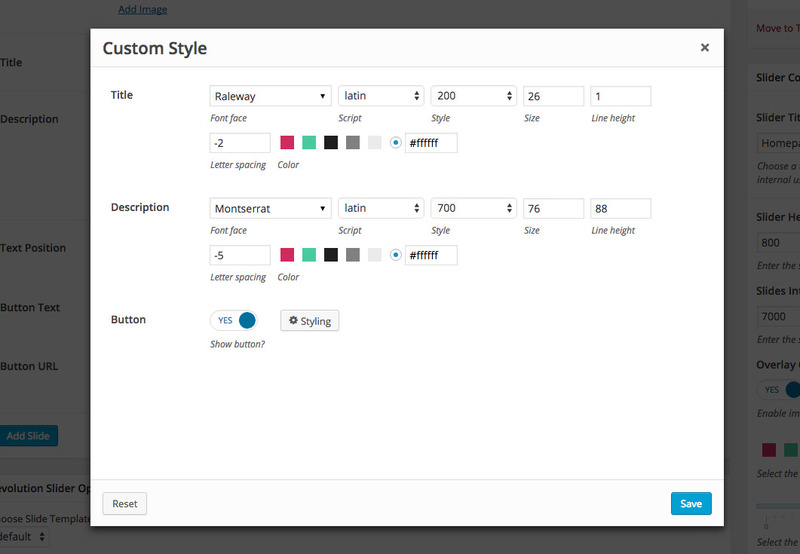 Custom Style - lets you change the fonts and button style.